Route. 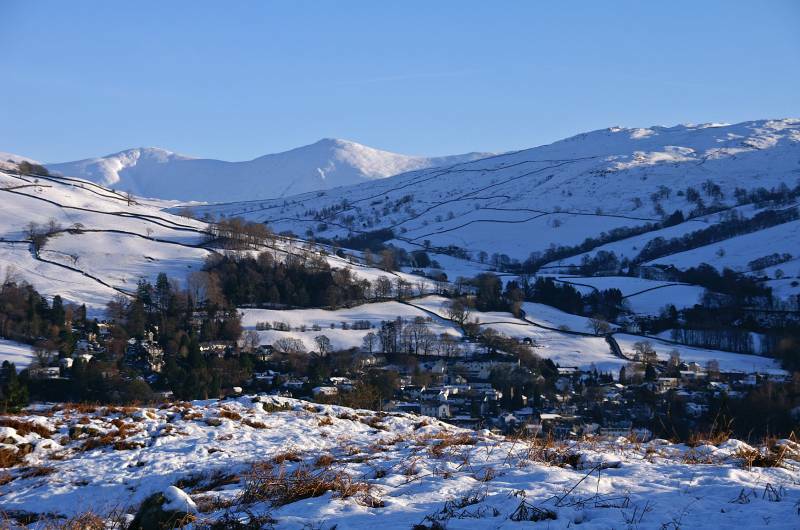 Ambleside - Rothay Park - Miller Brow - Todd Crag - Loughrigg Tarn - Loughrigg Terrace - Rydal - Rydal Park - Scandale Bridge - Ambleside. Notes. Todd Crag not my first choice today, I had intended to go much higher unfortunately I was the second car to attempt Kirkstone Pass this morning, the first was a member of our local constabulary who ambushed me at the summit, refused to let me descend into Patterdale he then sent me back the way I came, I hope the twenty or so cars I passed on the way back got the same treatment, deflated I made my way to Ambleside. 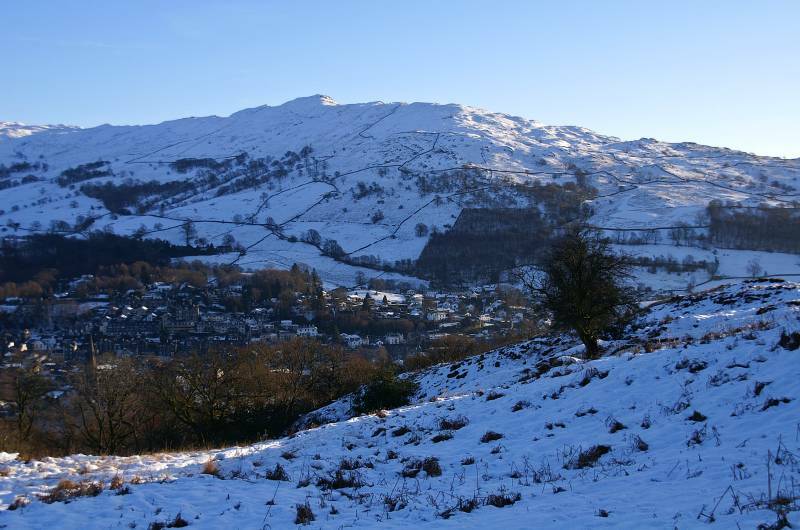 I decided to ascend Todd Crag then follow my nose. My route took me through Rothay Park across the River Rothay before ascending to the houses at Miller Brow, here a finger-post pointed to Clappersgate. I followed this path, after crossing a wooden footbridge I started my ascent, steep but short, with views from the summit, stunning as always. 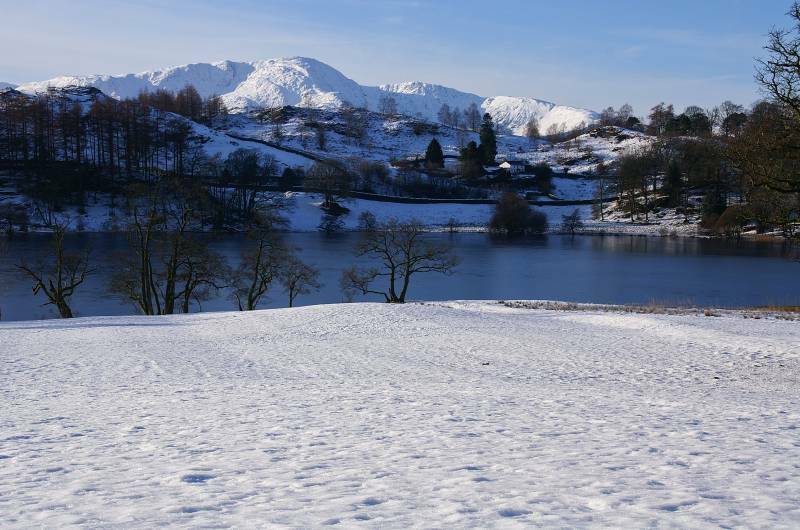 On one of many paths I then headed northwest, my intended destination Loughrigg Fell, on reaching the main bridleway a change of heart, why not visit Loughrigg Tarn, I turned left and that's where I went, I was glad I did the views to the Langdale Pikes were wonderful. 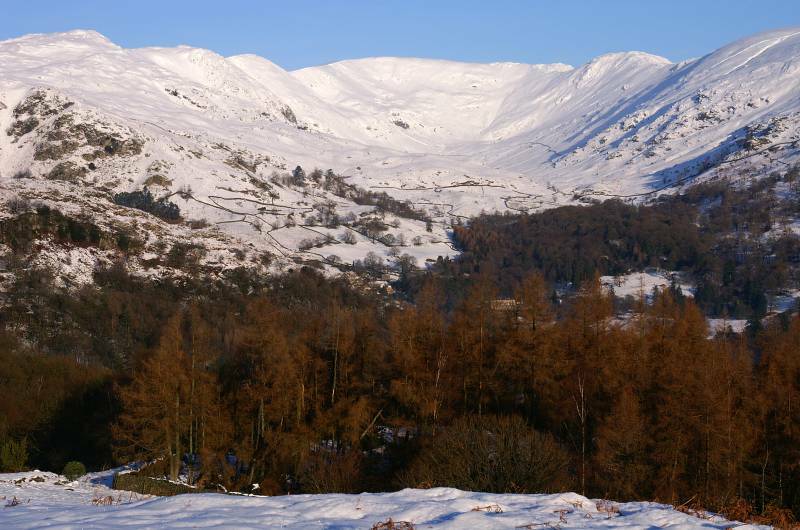 From Loughrigg Tarn I made my way up Red Bank Road, at the top of the hill the access to Loughrigg Terrace, the views from this path above the Vale of Grasmere are some of the best in Lakeland, plus there are some seats, time for lunch. 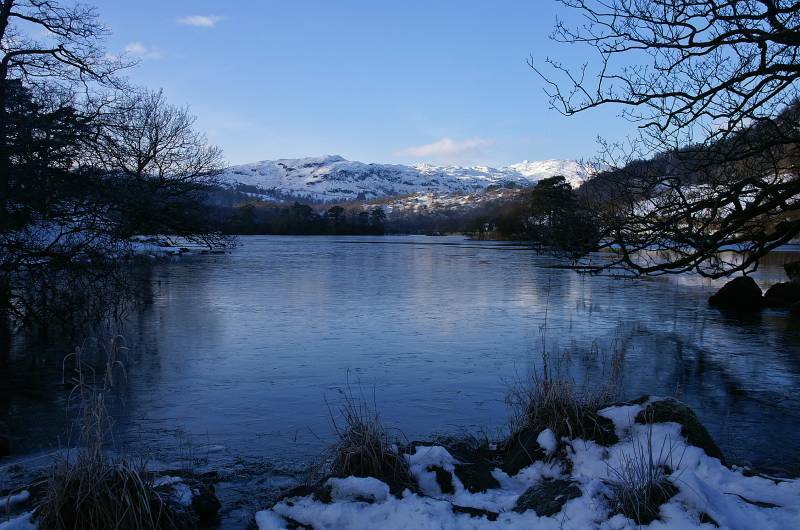 After a good feed I descended to Rydal Water, the short walk along it's shore saw me enter the Oak woods at Steps End before crossing the River Rothay once again. Fighting the temptation to enter The Badger Bar I made my way into Rydal Park to start the last leg of my journey, I was soon wandering along the main road back into Ambleside. 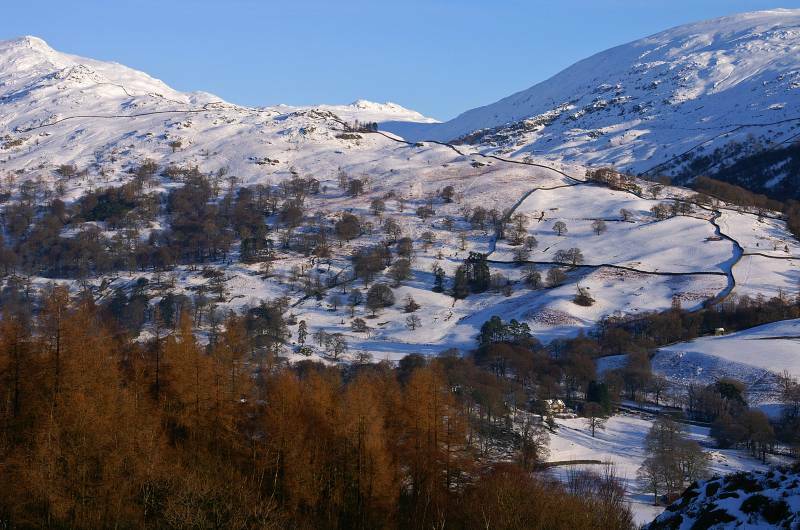 The day may of started on a sour note, wasting time driving up Kirkstone, a long conversation with a copper, time wasted getting to Ambleside, The Struggle was out of the question, but the day did eventually produce a stunning walk in wonderful conditions with outstanding views, what more can I say, take a look below. 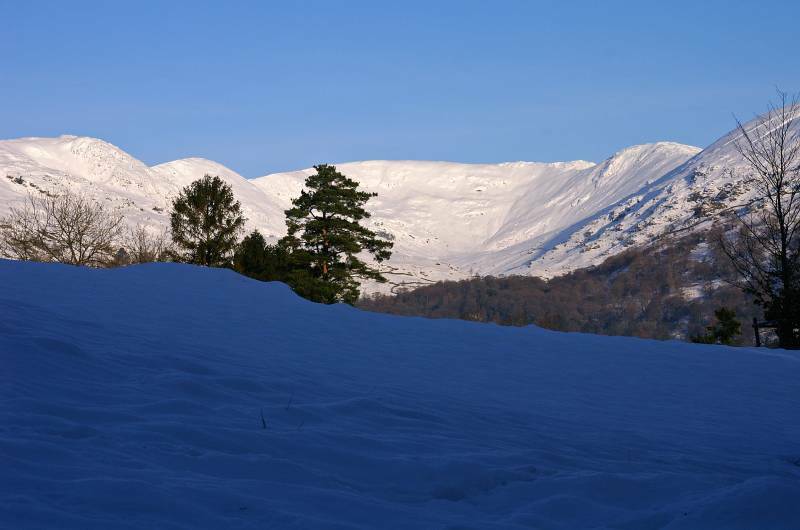 Ascending Todd Crag in deep snow, looking to the Fairfield Horseshoe. Dominating the skyline Ill Bell and Froswick. 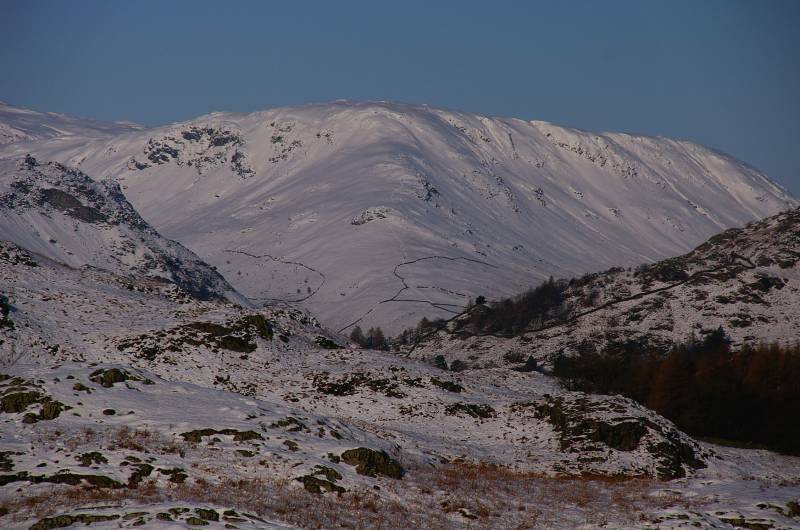 Rising at the head of Scandale Little Hart Crag, to the left the steep slopes of Low Pike, the right Red Screes. 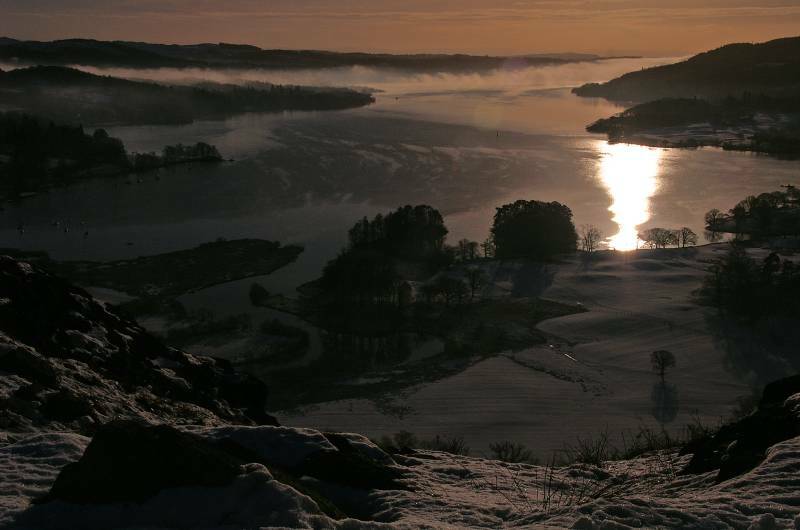 Sunlight on the waters of Windermere Lake with the last of the morning mist drifting south. 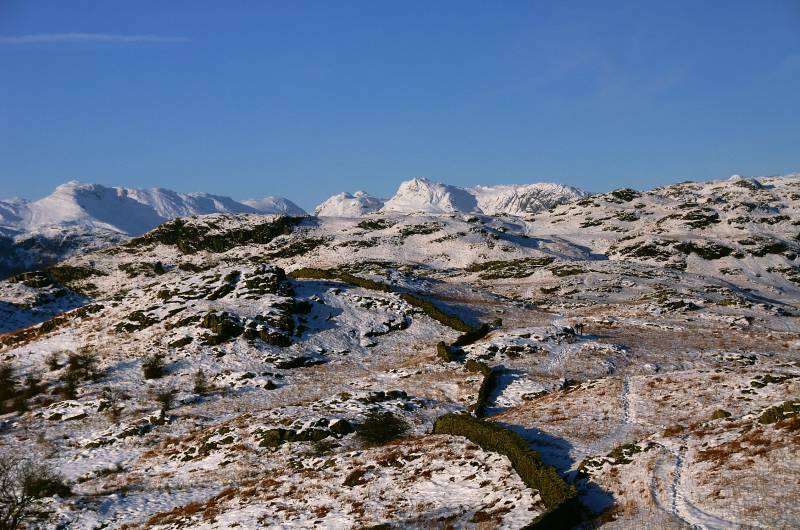 Seen from the summit of Todd Crag the Coniston massif. 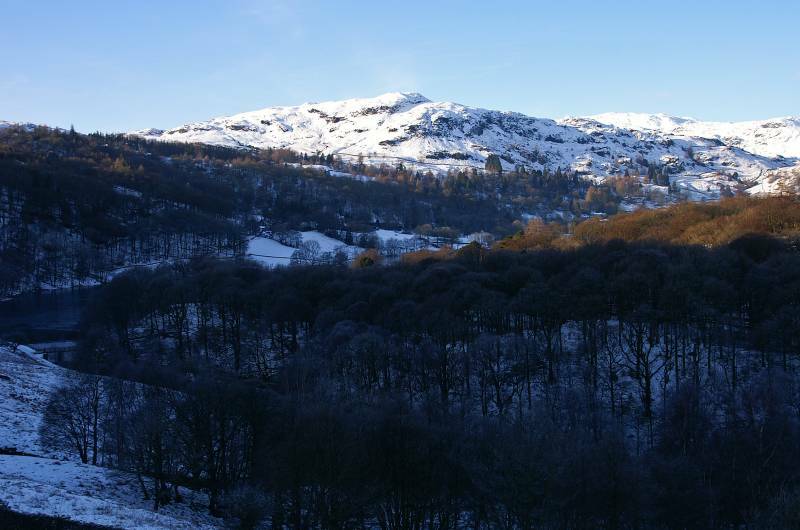 The scene over Loughrigg Fell, The Band leading to Bow Fell and the Langdale Pikes. 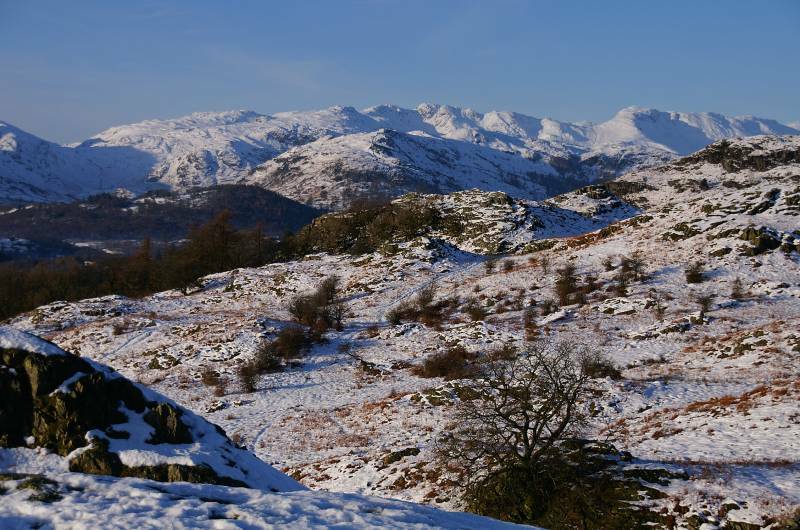 A stunning view over Lingmoor Fell including, Pike "O Blisco, the Crinkle Crags and The Band. Under deep snow Steel Fell. 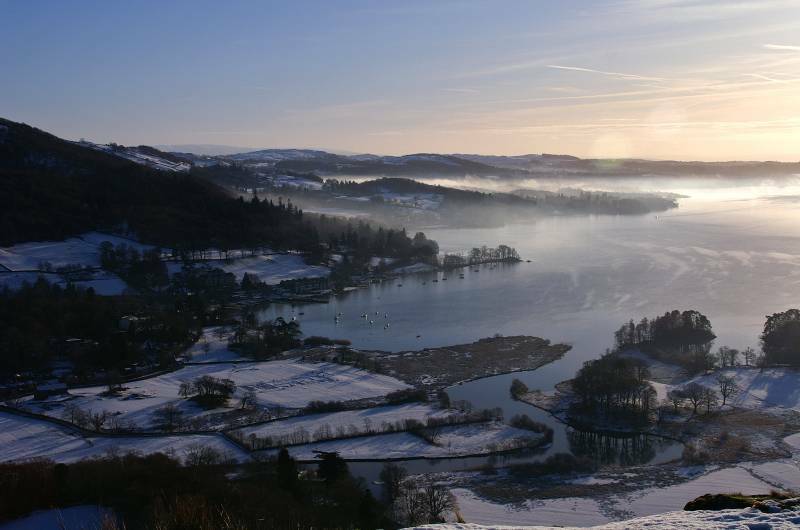 A final look back to Windermere Lake before heading north in search of more exciting winter landscapes. 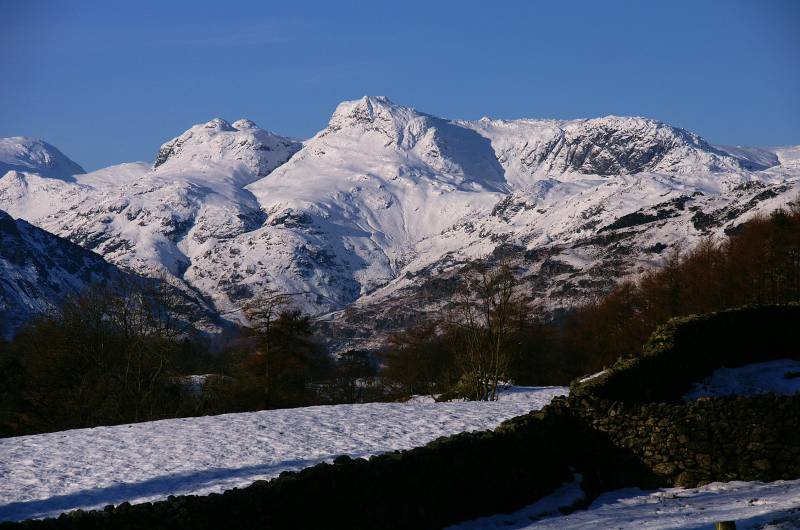 In the shadow of Ivy Crag with a breath-taking view to the Langdale Pikes. 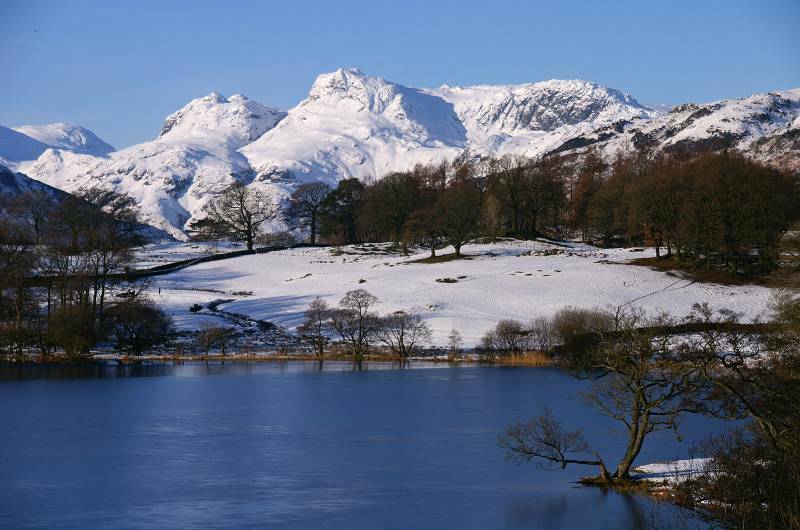 Again the Langdale Pikes this time over Loughrigg Tarn. 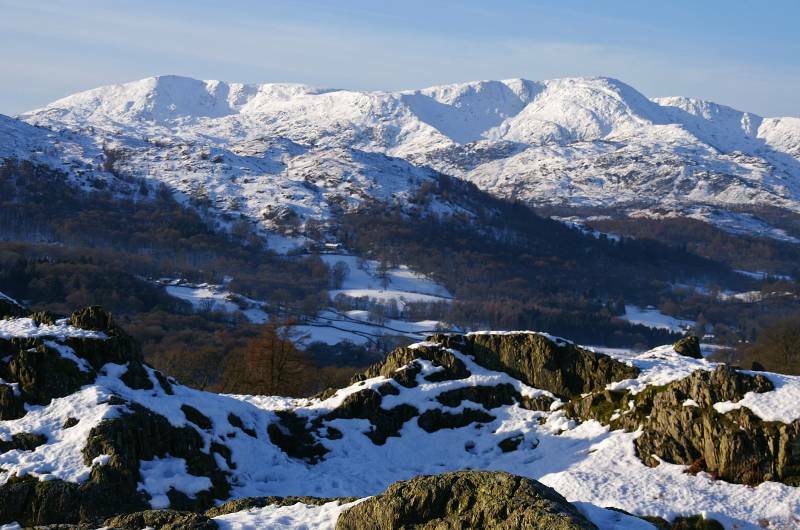 Rising into the western skies under heavy snow the Coniston Fells. 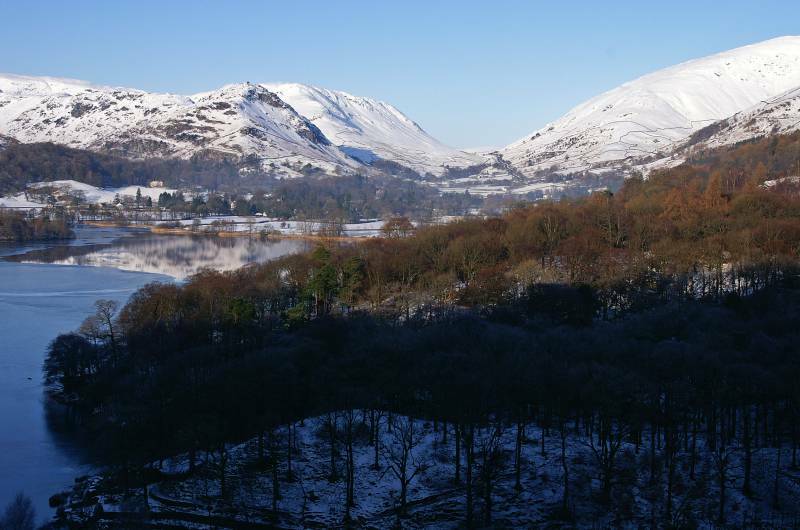 ....to the left a magical view over Grasmere. 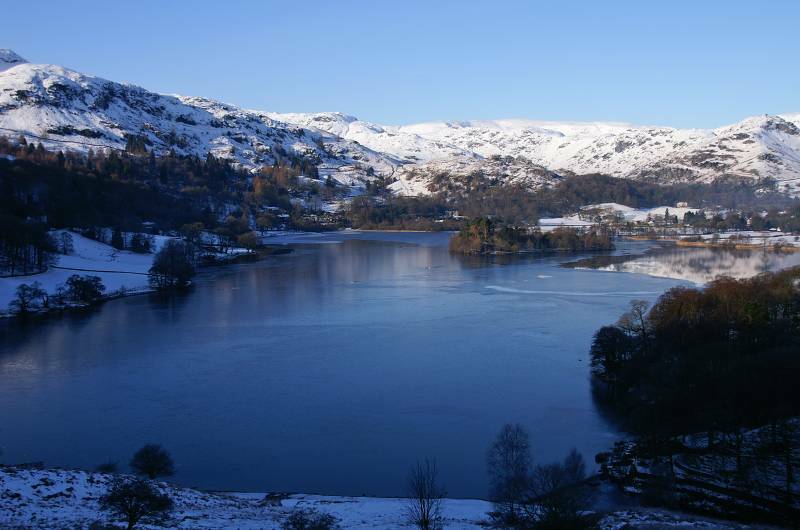 Loughrigg Terrace provides a fine viewpoint, here we have Silver How rising above Grasmere. 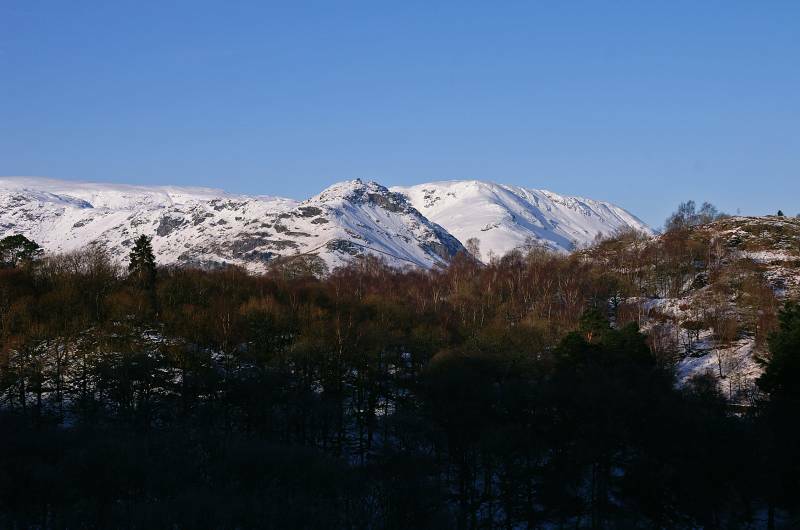 Soaking up the views from Loughrigg Terrace, Helm Crag or better known by most as The Lion and the Lamb, Steel Fell under a carpet of deep snow and to the right, the rock knoll of White Moss Common. 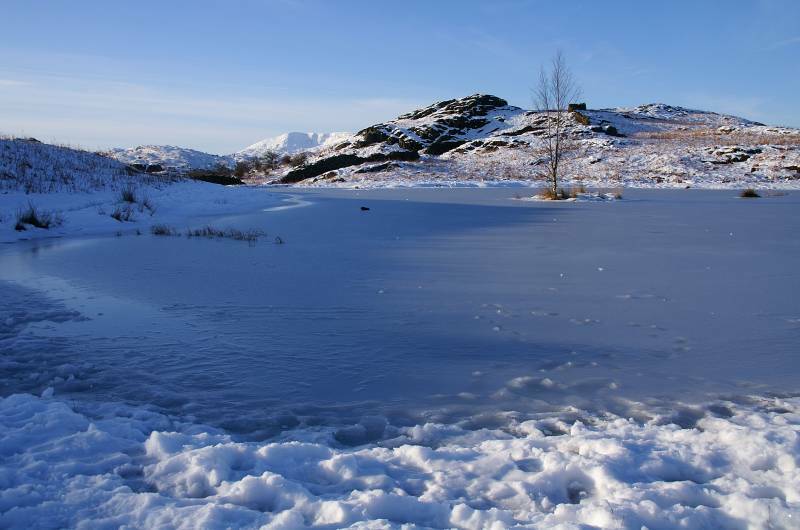 Nab Scar across Rydal Water. 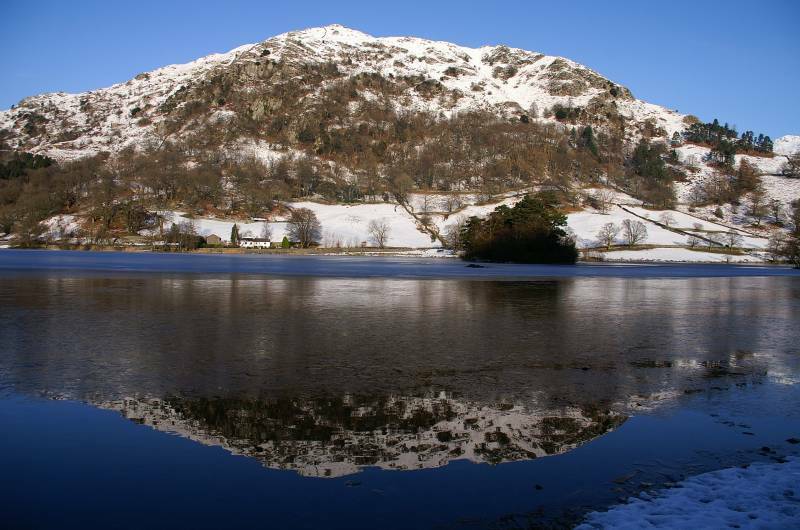 Silver How seen down the length of Rydal Water. 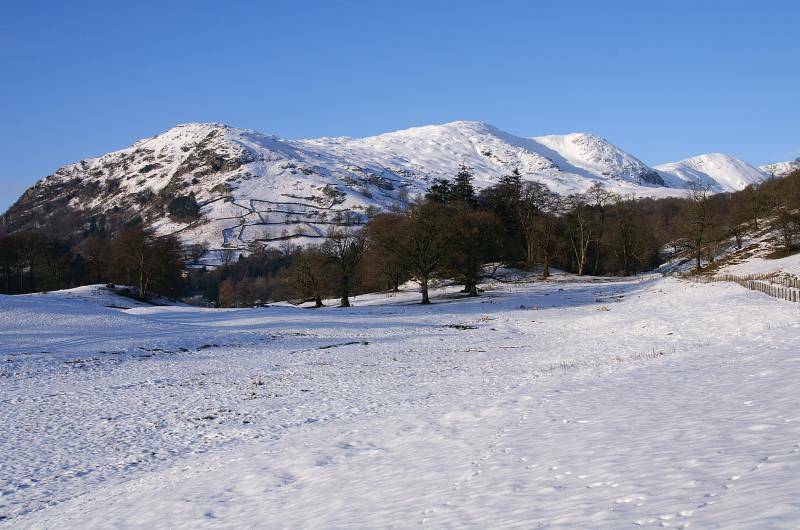 In Rydal Park looking to the western arm of the Fairfield Horseshoe, Nab Scar leading to Heron Pike, further along the snowy ridge Great Rigg.